The cast meeting fans for picture taking and autographing after their performance. To think I wanted to skip this show and go shopping instead when I was in Korea. I’m so glad my tour guide insisted I watched. BEST MUSICAL I’ve ever seen!!! Laugh from start of the show, till the end. If i remembered correctly, the whole musical lasted about an hour-ish. Yes, it is THAT comical, THAT nice. Incredible display of acrobatic and martial arts skills that are so impressive, your eyes will never leave the stage. This musical received very very good response everywhere they performed. Below is a short performance I dig from youtube. Doesn’t really justify the show but it certainly brings back memories. Nothing beats catching it LIVE! 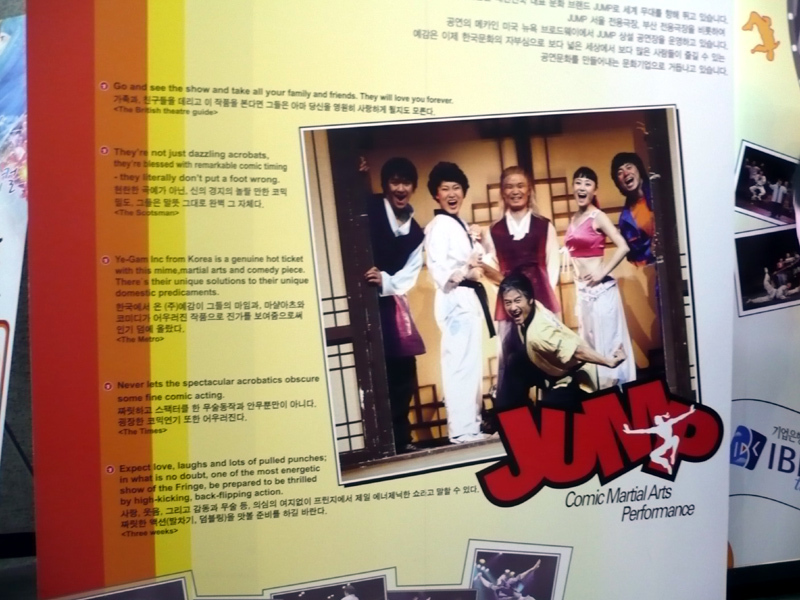 ‘Breakout’ (from the producers of ‘Jump’) is coming to Singapore and D and I have decided to go watch! We heard about their fantastic reviews when we were in Korea and now its finally coming to Singapore! Hi there! I’m making a JUMP entry too. 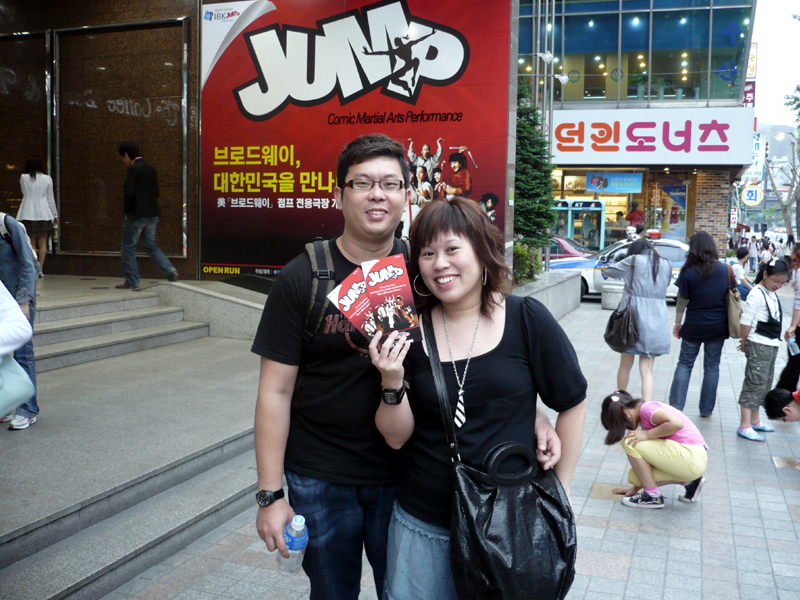 We’re heading to Seoul tomorrow to watch it. I hope you don’t mind but I linked your entry with a photo in the post I made (with credits to you of course). This is just to inform you nonetheless. As I read your entry here, it makes the insides of me even more excited to see this musical.